Draft: 1999, Minnesota Twins, 3rd rd. Justin Ernest George Morneau (pronounced MORE-no)...wife Krista (Martin)...daughter Evelyn (9/23/10), son Martin (7/21/12)...1999 graduate of New Westminster (BC) Secondary School where he played baseball, basketball and hockey...member of National Championship baseball team in 1997 and 1998...named top catcher and hitter at National Championships in 1998...New Westminster High School Athlete of the Year in 1999...played on Canadian World Junior team in 1999...played on Canadian National team in 2001 World Baseball Championship...played for Team Canada in 2006 and 2009 World Baseball Classic...started a program in 2007 where he donates $100 per RBI to help renovate youth baseball fields across the Upper Midwest...won 2008 State Farm Home Run Derby at the All-Star game in New York-AL, hitting a total of 22 home runs in the event and defeating Texas' Josh Hamilton 5-3 in the final round. In his first season with the Rockies, won his first career batting title by leading the National League with a .319 (160-for-502) average...Morneau became the seventh Rockies player to win a batting title and the second-straight...Michael Cuddyer led the NL in batting in 2013 at .331...Morneau joins Andres Galarraga (1993), Larry Walker (1998-99, 2001), Todd Helton (2000), Matt Holliday (2007), Carlos Gonzalez (2010) and Cuddyer as Rockies with a batting crown...His .319 average was the second-best of his career, only behind the .321 mark he posted during his 2006 AL MVP season...His .496 SLG and .860 OPS were both the highest marks in a full season since he slugged .516 and posted an .878 OPS in 2009...Named NL Player of the Week for April 14-20, his third week as a Rockie...it was his first POW honor since 2009 (June 29-July 5)...hit .375 (9-for-24) with three doubles, three home runs, 12 RBI, six runs during the week...Participated in the 2014 Home Run Derby in Minnesota...was chosen for the contest by NL captain and teammate Troy Tulowitzki...Hit his sixth-career walkoff home run on May 18 vs. SD off Dale Thayer in the 10th inning...was one of four walkoff homers by a Rockie in 2014, and his first since Sept. 9, 2012 vs. CLE with Minnesota...Had two six RBI games (June 24 vs. STL and Sept. 17 vs. LAD) and two five RBI games (April 20 vs. PHI and June 20 vs. MIL)...had never had more than two games in a single season with at least five RBI...Hit .320 (39-for-122) with runners in scoring position...led the club and finished 15th in the NL with 82 RBI...also batted .363 (78-for-215) with 77 RBI with runners on base...his .363 AVG with runners on base was second in NL...Finished 2014 close to several career milestones...needs two hits for 1,500 career hits (1,498)...needs 55 RBI for 1,000 RBI (945)...needs 62 games for 1,500 career games played (1,438)...Among Canadian-born Major Leaguers, Morneau is third in hits (1,498), fourth in games (1,438), second in doubles (325) and RBI (945) and fourth in home runs (238). Hit .636 (7-for-11) with three doubles and three RBI in three games for Team Canada in the World Baseball Classic... Began season with Minnesota and was the club's Opening Day and regular first baseman... Recorded his 800th career RBI with a sacrifice fly in the first inning on 5/3 at Cleveland... Tied for fourth among all American League hitters with 23 RBI in May...was his highest RBI total for any month...had 21 RBI in August... Tied Kirby Puckett (207) for fifth on the Twins all-time home run list with his 207th on 6/19... Passed Bob Allison for sole possession of fourth on Twins' all-time home run list with his 212th career homer on 7/27 at Seattle... Hit his seventh career grand slam and collected a season-high five RBI on 8/9 at Chicago (AL); the seven grand slams tied him for fourth in Twins history with Kirby Puckett and Jason Kubel... Homered off Yu Darvish in his final game with the Twins on 8/30 at Texas... Finished the month of August tied for third among all American League hitters with nine home runs... Was acquired by Pittsburgh on 8/31 in exchange for outfielder Alex Presley and a player to be named or cash... Hit .260 (20-for-77) with 4 2B and 3 RBI in 25 games for Pirates to help team clinch first Postseason birth since 1992... Hit a combined .292 (7-for-24) with 1 double in six Postseason games with Pirates. Was Twins Opening Day designated hitter, batting fourth, going 1-for-4 April 6 at Baltimore. ... Went 3-for-4 with two home runs, three RBI and three runs scored April 18 at New York-AL, his15th career two-homer game. ... Placed on 15-day disabled list with sore left wrist May 7, missing 14 games; reinstated, May 16. ... Recorded four three-RBI games in a seven-game span May 17-24. ... Hit 192nd and 193rd career home runs, tying and passing Torii Hunter and moving into seventhplace on the Twins all-time list, May 24 at Chicago-AL; his 16th career two-homer game. ... Recorded 733rd and 734th career RBI, tying and passing Rod Carew and moving into sixth place on the Twins all-time list, May 28 vs. Oakland. ... Hit 239th career double, tying Michael Cuddyer for seventh on the Twins all-time list, May 28 vs. Oakland...hit 240th double in the nextgame, passing Cuddyer and moving into sole possession of seventh place, May 29 vs. Oakland. ... Had fifth career stolen base June 21 at Pittsburgh, his first since 2007. ... Had season-high 14-game hitting streak June 27-July 16, batting .356 (21-for-59) during that span, second-longest of his career (2006). ... Had season-high four hits three times -- July 16 vs. Baltimore, August 3 at Boston and August 25 at Texas. ... Placed on paternity list July 21-24 as his wife Krista gave birth to the couple's second child, Martin (7/21/12). ... Recorded 250th career double and 750th career RBI with RBI-double July 25 at Chicago-AL. ... Recorded 758th career RBI August 3 at Boston, tying him with Gary Gaetti for fifth place on the Twins all-time RBI list...recorded 759th inhis next game August 4 at Boston, passing Gaetti and moving into sole possession of fifth place. ... Hit 199th and 200th career home runs (17th career multi-homer game and third this season) August 6 at Cleveland...became seventh Twinto reach 200 homers -- Harmon Killebrew (475), Kent Hrbek (293), Tony Oliva (220), Bob Allison (211), Kirby Puckett (207) and Gary Gaetti(201)...became fourth Canadian-born players to reach 200 -- Larry Walker (383), Matt Stairs (265) and Jason Bay (211). ... Drew 448th career walk, tying him with Tony Oliva for ninth on Twins all-time list, August 19 at Seattle...drew 449th career walk, passingOliva and moving into sole possession of ninth place, September 1 (Game 1) at Kansas City. ... Had fourth two-homer game of season and 18th of career September 9 vs. Cleveland, the second HR being a walk-off, his seventh careerwalk-off hit and fifth coming via home run...according to Elias Sports Bureau, it was third multi-homer game in his career that was cappedby a walk-off shot, tying David Ortiz and Todd Helton for the most such games among current major leaguers at that time. ... Started 99 games at first base and 34 as designated hitter. ... Was Twins finalist for the Roberto Clemente Award, given by Major League Baseball and Chevrolet for community service excellence. ... Named to 2013 Canada roster for World Baseball Classic. Played in the Twins season opener, April 1 at Toronto...his first game since suffering a concussion, July 7, 2010 at Toronto...Recorded his 1,000th career hit with a first inning single, April 8...he moved into sole possession of 13th place on the Twins' All-Time hits list...he also became 13th player in club history to reach 1,000 hits...Hit his first home run, May 1 at Kansas City...his first home run since July 6, 2010 at Toronto...Went 3-for-5 with his second home run of the season, May 19 at Oakland...Tied Harmon Killebrew, playing in his 892nd career game at first base, May 24 vs. Seattle...passed Killebrew, May 25 vs. Seattle, playingin his 893rd career game at first...Recorded his 14th career multi-homer game, May 31 at Detroit...Played in his 1,000th career game, June 6 at Cleveland...became the 16th player in club history to reach 1,000 games played...Recorded his 700th career rbi, June 8 at Cleveland...became one of eight players in club history to reach 700 career rbi...Placed on the 15-day disabled list with a left wrist strain, June 14...underwent neck surgery to remove a herniated disk fragment, June29...surgery preformed by Dr. Sherman...Appeared in seven games with Triple-A Rochester on a rehab assignment, going 11-for-30 (.367) with a home run, four doubles and eight rbi...Reinstated August 12 and played in 14 games, batting .235 (12-for-51) with four doubles, five walks and nine rbi before experiencing post-concussion symptoms after diving for a ball while playing first base...Played in his final game, August 28 vs. Detroit...placed on the 15-day disabled list with concussion symptoms, September 22...Underwent a stabilization procedure on the tendon in the back of his left wrist, September 30. Hit his first home run of season, April 6 at Los Angeles (AL)...homered the next night,April 7 at Los Angeles (AL)...Recorded the first triple by a Twin at Target Field (off Gil Meche) in the fifth inning,April 17 vs. Kansas City...Homered in consecutive games, April 24 and 25 at Kansas City, and April 30 and May1 at Cleveland...Hit in nine consecutive games, batting .353 (12-for-34) with three doubles, three homeruns and six rbi, April 30-May 8...Homered in consecutive games for the fourth time on the season, May 16 at New York (AL) and May 17 at Toronto (13th career two-homergame and season-high four rbi)...it was his second career two-homer game in Toronto...Hit his 200th career double, May 20 at Boston, becoming the ninth player in Twins history to do so...passed Chuck Knoblauch for solepossession of eighth on the Twins All-Time list with his 211th double, June 22 at Milwaukee...Made his only fielding error of the season, June 4 at Oakland...finished with a .999 fielding percentage (734 total chances, one error)...Reached base via hit or walk in 50 of his first 54 games, including each of his first 19, and 28 of his first 29...After homering off Roy Halladay (June 20 at Philadelphia) and Dallas Braden (June 4 at Oakland), he became the first player in Major Leaguehistory to homer off a pair of pitchers who had tossed perfect games earlier that season (from Elias Sports Bureau)...Collected multiple hits in six consecutive games, June 19-25...batted .373 (25-for-67) with five home runs, 13 rbi and 13 runs scored in16 games prior to suffering a concussion on July 7...Hit safely in 15 of his final 17 games, June 18-July 7, and homered three times in his last seven games, June 30-July 7...Voted as the starting first baseman in the All-Star game but did not play due to concussion...it was his fourth career All-Star selection andfirst as a starter...he compiled 2,933,355 votes, edging out Detroit's Miguel Cabrera and New York's Mark Teixeira...Placed on the 15-day disabled list July 16 (retroactive to July 8) with a concussion, after sliding into second base and hitting his headagainst John McDonald's knee, July 7 at Toronto...missed the Twins final 78 games...At the time of his injury, he was leading the American League in on-base percentage (.437), was second in OPS (1.055), third in battingaverage (.345) and slugging (.618), fourth in total bases (183), tied for fourth in walks (50) and doubles (25), seventh in home runs (18),tied for ninth in hits (102), 10th in rbi (56) and tied for 12th in runs scored (53)...Transferred to 60-day disabled list to make room for starting pitcher Matt Fox, September 3...Hit safely in 32 of 38 road games, batting .375 (54-for-144) with 14 home runs...Was the Twins finalist for the Roberto Clemente Award, given by Major League Baseball and Chevrolet for community service excellence...Named by Baseball America as the third-best power hitter in the American League, behind Detroit's Miguel Cabrera and Texas' Josh Hamilton. Hit first home run of the season, April 8 vs. Seattle...four-rbi game, April 10 at Chicago (AL)...homered in consecutive games, April 22 at Boston and April 24 at Cleveland, then again on May 8 and 9 vs. Seattle...four-hit game, May 18 at New York (AL)...fifth career grand slam, May 24 vs. Milwaukee...season-high 11-game hit-streak from May 22-June 2, batting .415 (17-for-41) with two home runs, 14 rbi and eight runs scored...two-homer game, May 15 at New York (AL)...fifth career grand slam, May 24 vs. Milwaukee, also his 150th career home run...drove in his 50th run of the season in the Twins' 55thgame, June 4 vs. Cleveland, becoming the fourth Twin with as many rbi in the clubs first 55 games (Kirby Puckett - 49 games in 1994, Larry Hisle - 54 games in 1977, Harmon Killebrew - 55 games in 1969)...played in his 800th career game, June 18 vs. Pittsburgh...snapped a streak of 319 consecutive games played after sitting out, June 21 vs. Houston, second-longest streak in all of baseball at the time with only the Phillies' Ryan Howard having a longer streak, playing in 343 consecutive games...named American League Player of the Week from June 29-July 5, after batting .480 (12-for-25) with 26 total bases, four home runs, two doubles, eight rbi and four runs scored...homered in consecutive games July 4 and 5 vs. Detroit, including his third four-hit game on the 4th...selected to the American League All-Star team for the third time in his career as a reserve, going 0-for-2...hit two home runs and set a career-high with seven rbi, July 20 at Oakland...third two-homer game of season, July 26 at Los Angeles (AL)...homered in back-to-back games, August 1 and 2 vs. Los Angeles (AL)...collected his 30th home run and 100th rbi, September 9 at Toronto...his fourth season with 100-or-more rbi, second Twin in club history to record four-plus seasons of 100-or-more rbi, the other being Harmon Killebrew who did it seven times...with 30 home runs, Morneau became the fourth Twin (since 1961) to have multiple seasons with 30-or-more home runs since Bob Allison, Tom Brunansky, Gary Gaetti and Kent Hrbek, who each did it twice...played in his final game, September 12 vs. Oakland after being sidelined for the remainder of the season with a stress fracture in his lower back...was given the Carl R. Pohlad Community Service Award by the Twin Cities Baseball Writers Association. Hit safely in 11 of 12 games, April 4-17...homered in consecutive games, April 5-6...was 10-for-28 (.357) in seven games, April 19-26...had game-winning walk-off single in ninth inning, April 20 vs. Cleveland...hit third career grand slam and five rbi, April 25 at Texas...nine-game hit-streak, going 16-for-34 (.471), May 10-18...hit safely in 10 of 12 games, going 17-for-50 (.340), May 20-June 1...hit game-winning solo home run in 10th inning, May 28 at Kansas City...fifth three-hit game, June 9 at Chicago (AL)...hit safely in 14 of 15 games from June 11-June 27, going 22-for-61 (.361) with two homers, 19 rbi and two three-hit games during that span...second career five-hit game on July 10 at Detroit, including a go-ahead solo home run in the top of the 11th...named to his second All-Star Game, July 15 in New York (AL)...went 2-for-4 with a walk and scored the winning run for the American League...tied a season-high with five rbi on July 19 vs. Texas...recorded three rbi, three times in four games from July 28-July 31...hit .360 (32-for-89) with six home runs, 23 rbi and 23 runs scored in 25 July games...hit .404 (23-for-57) with two home runs, 11 rbi and 11 runs scored from August 16-29 with seven multi-hit games in 14 total games, including a four-hit game on August 29 at Oakland...three separate four-rbi games on August 31 at Oakland, September 5 and 7 vs. Detroit...recorded his third game with four-or-more hits (4-for-5) on September 13 at Baltimore...recorded his 47th double, setting a new Twins single season record, September 24 vs. Chicago (AL)...hit .348 with runners in scoring position, ranking ninth in the American League...recorded 187 hits vs. lefthanders, the third most by a lefthanded hitter in the Majors...finished the year with 129 rbi, the second most in the American League (Josh Hamilton - 130)...played in all of the Twins 163 games, most in the Majors...one of 32 players in Major League history to play 163 games-or-more in a single season and first since Hideki Matsui played in 163 games for the Yankees in 2003...just two other Twins in franchise history have played in more games, Cesar Tovar, 164 in 1967 and Harmon Killebrew, 163 in 1967...was awarded by the Twin Cities Baseball Writers Association, earning the Calvin R. Griffith Award as Most Valuable Twin and Bob Allison Award, given to the Twins' player who exemplifies determination, hustle, tenacity, competitive spirit and leadership on and off the field. Had fifth career two-homer game (first of season), including three-run walk-off homer in 10th inning, May 8 vs. Chicago (AL)...suffered broken nose after being hit with a thrown ball from Nick Punto, May 12 vs. Detroit...sixth career two-homer game (second of season), May 15 at Cleveland...season-high 10-game hit-streak, going 14-for-40 (.350), May 17-27...seventh career two-homer game (third of season), May 22 vs. Texas...named American League Player of the Month for May...had game-winning walk-off homer in ninth inning, June 16 vs. Milwaukee...had consecutive games played streak snapped at 190, June 23 at Florida...became fourth Twin to have a three-homer game, July 6 at Chicago...it was his eighth career multi-homer game (fourth of season) and he drove in a career-high six runs...named American League Player of the Week, July 2-8...selected to first career All-Star Game, July 10 at San Francisco...hit safely in 10 of 11 games, going 17-for-41 (.415), July 19-30...ninth career multi-homer game (fifth of season), July 23 at Toronto...became first Twin since 1986-87 (Gary Gaetti) to have back-to-back 30-homer seasons, September 14 vs. Detroit...tied for fourth in American League sacrifice flies, tied for fifth in home runs, eighth in home at-bats per home run (19.0) and was ninth in rbi. Second career 2-homer game, April 7 at Cleveland...hit safely in seven of nine games, going12-for-35 (.343) with four homers and 12 rbi, April 7-16...homered in consecutive games, April 11-12...had game-winning walk-off single in 9th inning, April 15 vs. New York (AL)...had seven-game hit-streak,going 11-for-28 (.393), May 7-14...third career 2-homer game (second of season) and career-high six rbi,May 9 at Texas...had game-winning sacriﬁce ﬂy in 10th inning, May 23 vs. Cleveland...had game-winninghomer in 10th inning, June 20 at Houston...had 11-game hit-streak, going 19-for-46 (.413), June 8-20...fourth career 2-homer game (third of season), including walk-off 2-run homer in 12th inning, June 9 vs.Baltimore...second career grand slam, June 14 vs. Boston...homered in consecutive games, June 22-23 and July 2-3...had career-high 16-game hit-streak, going 26-for-59 (.441), June 22-July 9...hit safely in 17 of 18 games, going 30-for-71 (.423),July 14-August 1...had seven-game hit-streak, going 10-for-28 (.357), August 3-9...hit his 30th home run of the season August 17 vs. Cleveland,becoming the ﬁrst Twin since 1987 to accomplish the feat...hit safely in 14 of 15 games, going 23-for-56 (.411)...recorded a career-high ﬁve hits September 19 at Boston...led the Majors with a .362 batting average from June 8...tied for ﬁrst inleague in sacriﬁce ﬂies, was second in rbi and seventh in batting...his 130 rbi rank second on theTwins all-time single season rbi list (Killebrew - 140, 1969) and tied Larry Walker (1997) for themost rbi in a single season by a Canadian born player...named American League Most ValuablePlayer with 320 points (15 ﬁrst-place votes) by the BBWAA, becoming the fourth Twin in history towin the award (Carew in '77, Killebrew in '69 and Versalles in '65)...won Calvin R. Grifﬁth Awardas Most Valuable Twin and Louisville Slugger "Silver Slugger" Award. Hit safely in 8 of 9 games, going 18-37 (.486), April 5-30 . . . disabled with concussion, April 12-22 . . . first career 4-hit game, April 28 at Kansas City . . . had 5-game hit-streak, going 9-18 (.500), May 3-8 . . . homered in four consecutive games, May 3-7 . . . second career 4-hit game, May 8 at Tampa Bay . . . had game-winning 3-run double in 11th inning and second career 4 rbi game, May 24 at Cleveland . . . third career 4 rbi game, June 11 at Los Angeles (NL) . . was 5-15 (.333) in 4 games, June 23-26 . . . had 5-game hit-streak, going 6-18 (.333), July 29-August 2 . . . homered in consecutive games, July 31-August 1 . . . was 6-18 (.333) in 4 games, August 9-13 . . . hit safely in 5 of 6 games, going 7-20 (.350), August 30-September 5 . . . season-high 6-game hit-streak, going 7-22 (.318), September 10-17 . . . hit first career grand slam off Jamie Walker and fourth career 4 rbi game, September 30 vs. Detroit . . . had .994 (8 E, 1290 TC) fielding percentage . . . led club in rbi and tied for second in total bases (214) . . . established career-highs in virtually all offensive categories. Began season at Rochester . . . was 14-25 (.560) in 6 games, April 8-14 . . . Twins' Minor League Player of the Week, April 10-16 . . . had 2-homergames, April 12 vs. Pawtucket and April 15 at Scranton/Wilkes-Barre . . .International League Player of the Week, April 13-19 . . . had 8-game hit-streak,going 13-36 (.361), April 15-23 . . . hit safely in 10 of 11 games, April 28-May8 . . . Twins' Minor League Player of the Month for April, going 33-83 (.398)with 8 doubles, 6 homers and 20 rbi . . . homered in 3 consecutive games, April30-May 2 . . . recalled May 21 . . . optioned June 1 . . . had 2-homer game, June7 at Columbus . . . had 4 homers in 3 games, June 14-16 . . . hit safely in 9 of10 games, going 13-32 (.406), June 21-July 1 . . . homered in consecutivegames, June 22-24 . . . played for World Team in Futures Game, July 11 atHouston . . . recalled July 16 . . . career-high 9-game hit-streak, going 13-39(.333), July 17-25 . . . had game-winning sacrifice fly in 8th inning, August 1vs. Boston . . . homered in consecutive games August 3-4, August 29-31 andSeptember 3-4 . . . had 7-game hit-streak, going 10-30 (.333), August 3-9 . .. had first career 2-homer game and career-high 4 rbi, August 12 at Seattle . . . had a rbi in 9 consecutive games (10 rbi), August 17-26 . . . hit safely in 6 of 7 games, going 9-27 (.333), September8-16 . . . had 5-game hit-streak, going 10-19 (.529), September 23-29 . . . tied career-high 3 hits, September 25 at Cleveland. . . named to International League Post-Season All-Star team . . . ranked second Best Prospect in International League byBaseball America. Began season at New Britain ...was 8-14 (.571)in 3 games,April 6-12 ...homered in consecutive games,April 10-12 ...had 2-homer game,April 14 at Trenton ...hit safely in 12 of 15 games,April14-29 ....promoted to Rochester April 30 ...Twins' Minor LeaguePlayer of the Month for April,going 26-79 (.329)with 6 homers and13 rbi ...had 5-hit game and 2-homer game,May 2 at Charlotte ...hit safely in 7 consecutive games,going 10-28 (.357),May 5-11 ...homered in 3 consecutive games,May 6-8 ...had 2-homer game,May 18 at Columbus ...was 12-30 (.400)in 8 games,May 22-29 ...recalled June 10 ...made major legue debut,singled off JasonJennings for first major league hit and had season-high 3 hits,June10 vs.Colorado ...was 6-11 (.545)in 3 games,June 10-13 ...firstmajor league homer off Albie Lopez,June 17 at Kansas City ...tiedseason-high 3-game hit-streak,June 17-19 ...tied season-high 2rbi,July 4 vs.Cleveland ...optioned July 27 ...was 9-19 (.474)in 5 games,August 6-10 ...had 8-game hit-streak,August 20-28 ...recalled September 2 ...had .971 fielding percentage (1 E,34 TC)at first base. Disabled April 5-12...reached base safely in 22 consecutive games, April 14-May 8...was 1 for 3 with an rbi for World team in MLB Futures Game, July 7 in Milwaukee...twice named Eastern League Player of the Week, April 22-28 and July 15-21...led club in total bases and home runs, was second in batting, hits and doubles, and third in runs scored...promoted to Edmonton, September 3...tied for seventh in organization in rbi, was ninth in hits and tenth in total bases and home runs...ranked top first base prospect in all minor leagues by Baseball America. Disabled with broken bone in right hand, July 14-August 6. November 3, 2016 DH Justin Morneau elected free agency. July 15, 2016 Chicago White Sox activated DH Justin Morneau from the 15-day disabled list. July 11, 2016 Chicago White Sox sent 1B Justin Morneau on a rehab assignment to Birmingham Barons. July 4, 2016 Chicago White Sox sent 1B Justin Morneau on a rehab assignment to Charlotte Knights. June 9, 2016 Chicago White Sox signed free agent 1B Justin Morneau. June 9, 2016 Chicago White Sox placed 1B Justin Morneau on the 15-day disabled list. Recovery from left elbow primary flexor surgery. 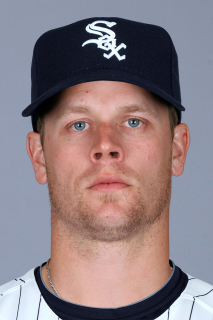 November 2, 2015 1B Justin Morneau elected free agency. September 4, 2015 Colorado Rockies activated 1B Justin Morneau from the 60-day disabled list. August 28, 2015 Colorado Rockies sent 1B Justin Morneau on a rehab assignment to New Britain Rock Cats. July 29, 2014 Colorado Rockies activated 1B Justin Morneau from the 15-day disabled list. July 28, 2014 Colorado Rockies sent 1B Justin Morneau on a rehab assignment to Colorado Springs Sky Sox. July 28, 2014 Colorado Rockies sent 1B Justin Morneau on a rehab assignment to Colorado Rockies. December 13, 2013 Colorado Rockies signed free agent 1B Justin Morneau. July 24, 2012 Justin Morneau roster status changed by Minnesota Twins. May 16, 2012 Justin Morneau roster status changed by Minnesota Twins. May 7, 2012 Minnesota Twins placed 1B Justin Morneau on the 15-day disabled list retroactive to May 1, 2012. Sore right wrist. October 3, 2011 Minnesota Twins activated 1B Justin Morneau from the 15-day disabled list. September 22, 2011 Minnesota Twins placed 1B Justin Morneau on the 15-day disabled list retroactive to September 12, 2011. Concussion. August 12, 2011 Minnesota Twins activated 1B Justin Morneau from the 15-day disabled list. August 5, 2011 sent 1B Justin Morneau on a rehab assignment to Rochester Red Wings. November 2, 2010 Minnesota Twins activated 1B Justin Morneau from the 60-day disabled list. September 3, 2010 Minnesota Twins transferred 1B Justin Morneau from the 15-day disabled list to the 60-day disabled list. July 16, 2010 Minnesota Twins placed 1B Justin Morneau on the 15-day disabled list retroactive to July 8, 2010. Concussion. October 19, 2009 Minnesota Twins activated 1B Justin Morneau. October 7, 2009 Minnesota Twins reassigned 1B Justin Morneau to the minor leagues.